Using the USB-C (USB Type-C) port on your MacBook 12 inch, add 2 full-sized USB ports, an SD card slot and a micro SD card slot to your computer using this Satechi hub in rose gold. Plug in USB devices such as a keyboard, mouse or printer to your MacBook. The USB-C hub is very nice looking and matches my 12" MacBook perfectly. One of the few I have found that both features SD card reader and power through loop for the MacBook. It is extremely good value for the money in Hong Kong but overpriced in China and Europe. 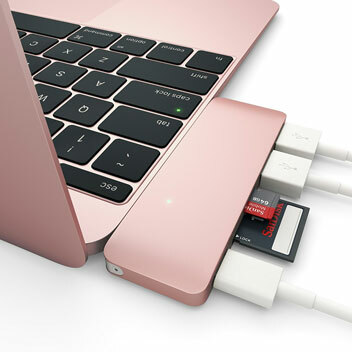 Expand your USB-C compatible computer with additional connectivity options with just one compact and light accessory. With many modern computers becoming so thin to create an attractive design, the range of ports available in this limited space can be greatly reduced. 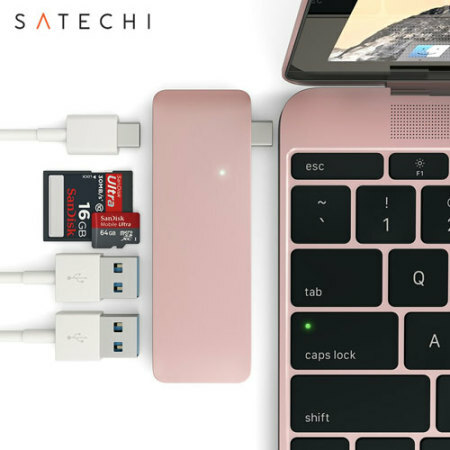 The Satechi USB Type-C Hub expands the number of USB ports all in one handy portable device. 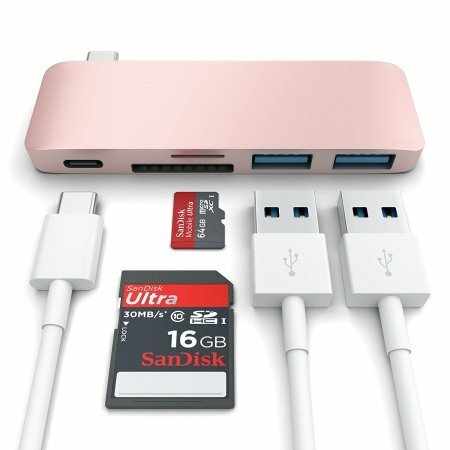 Add 2 USB ports to your computer and connect a wide range of media devices. These could include USB memory sticks, external USB hard drives, gamepads and connecting other USB compatible equipment. 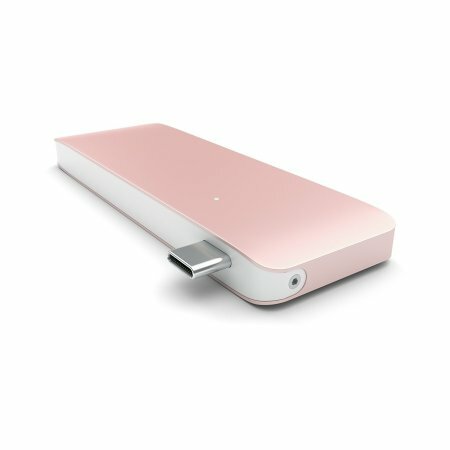 The Satechi USB Type-C Hub also features an SD card reader for transferring data from devices such as cameras or games consoles to your computer. 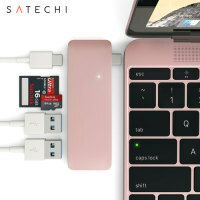 As well as two extra USB ports, the Satechi USB Type-C Multi-Port Adapater also features a pass-through USB-C port so you can continue to charge your USB-C MacBook or laptop while in use. As well as an SD card reader, the Satechi USB Type-C Hub also features a micro SD card reader for transferring data from your smartphone. 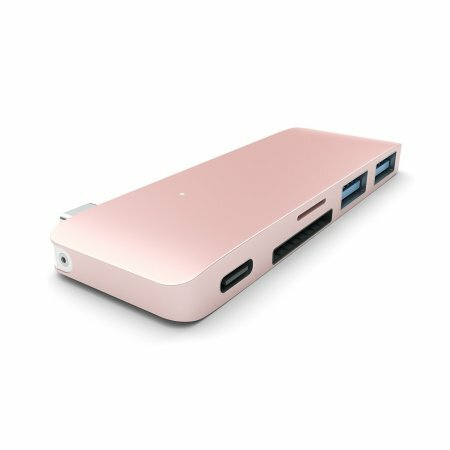 Due to its small and lightweight design, the Satechi USB Type-C Hub is the ideal companion for your USB-C compatible computer. Easy to place in your bag or even pocket, portability certainly isn't an issue.